The Balt 27530 height adjustable flat panel tv cart is built with heavy-duty steel and has a shiny finishing. This flat panel tv cart comes with four casters and locking breaks, allowing users to move the cart conveniently wherever they want. 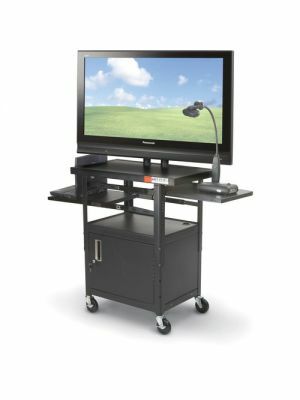 The 27530 flat panel tv cart is compatible with up to 32” display. The posts are constructed with heavy wall tube with thickness of 0.083. These posts have height of 20” and are able to manage cable access inside them. This feature enables smooth height adjustment in 1” increments and reduces the cable clutter. 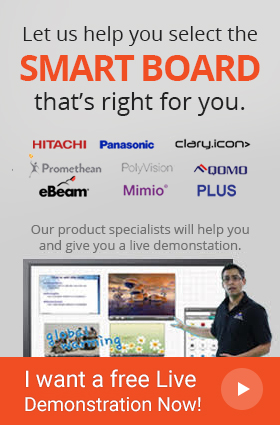 The 27530 flat panel tv cart comes with the integrated shelves that can be used for any device such as laptop or a projector etc. At the bottom there is locking cabinet of 15 x 24 x 18" (WHD) that provides complete safety of the valuable items when not in use. Users can manually adjust the height between the cabinet and the cart from 8” to 15.5”. The 27530 height adjustable flat panel tv cart is the best and affordable option for those who are looking for mobile tv carts.